Do you dream of a time when your mortgage is paid in full and you have that money to spend as you want each month? Many individuals assume they will have a mortgage for the majority of their life, only paying off the home when they are nearing retirement age, if then. 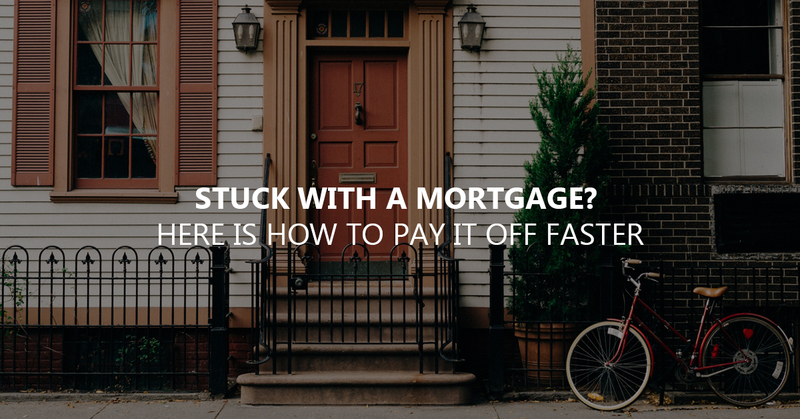 This doesn’t have to be the case, however, as you can pay off your mortgage fast and have more money in your wallet or bank account each month. Tips to pay off a mortgage faster help you achieve this goal. Envision the financial freedom you’ll have when you reach this point and you’ll be ready to put these tips to use today. Make a minimum of one extra payment each year. This may be accomplished in a variety of ways, thus each borrower needs to find the one that works for their unique financial situation. For example, some individuals divide their monthly payment by 12 and determine how much this would be each month. They then add that amount to the mortgage payment each month, specifying it is to go toward the principal of the loan. Others choose to set up a payment plan where they make payments every two weeks instead of once a month. Doing so allows them to make an extra payment each year also. Find what works for you and do this every year to see the principal come down at a faster rate. Refinance the home if a lower interest rate can be obtained, and consider choosing a shorter term. For example, a $200,000 30-year fixed interest rate loan taken out at 4.5 percent interest may be obtained. Pay on this loan for five years and refinance, choosing a 15 year fixed interest rate loan with a 4.0 percent interest rate. This simple step helps to save tens of thousands of dollars in interest and the payment changes only slightly. Individuals lacking a 20 percent down payment on a mortgage loan are typically required to pay private mortgage insurance. This program protects the lender in the event payments aren’t made as agreed. Many borrowers don’t realize that they no longer have to pay this fee once they build up 20 percent equity in the home, and lenders often fail to provide this information. Stay on top of this, monitor monthly statements, and contact the lender when the 20 percent equity is established in the home. Doing so helps to save money over the life of the loan. Consider refinancing the mortgage even when a shorter term is not feasible. Before doing so, however, ensure the lower interest rate will offset any closing costs that must be paid. The key to successfully refinancing the home is determining how long it will take to pay these fees off. Homeowners who plan to move in a few years may find refinancing doesn’t make sense, but those who will be staying in their home for an extended period of time can save money by choosing to refinance. Take care, however, and don’t refinance for the same mortgage term. If you have a 30-year mortgage loan and ten years have been paid on this loan, refinance with a 20-year loan. Although another 30-year mortgage loan would make the payments lower, it would increase the amount of interest paid, defeating the whole purpose of refinancing. This is one option many homeowners never stop to consider. Is the home suitable for a family of six, yet there are only four in your family? Could you move to a smaller home and save money each month? Seriously look into making a move to a smaller residence, take the funds from the sale of the current home and apply them to the new residence to bring the monthly payments down. Continue paying the same amount that was being paid on the larger home and the mortgage will be paid off in a much shorter period of time. Imagine the monthly savings and the savings over the long term and it’s easy to see why the tiny house movement has really taken off. Property rates change over time. When the current property rate has decreased since the mortgage was initiated, it’s time to consider a property reassessment, as this can help to lower the escrow for the mortgage. A Realtor may be used for this purpose. They do an assessment of comparable properties in the area and, if the findings are in the homeowner’s favor, the homeowner contacts the tax assessor to obtain the necessary paperwork for a property reassessment request. Although this won’t help all homeowners, it’s definitely one option to consider, and Realtors often provide this comparison for free. Companies do offer this service for a fee, but it’s always wise to try to get it done for free. Did you get a Christmas bonus last year? Do you remember what you did with it? Imagine taking those funds and applying them toward the mortgage. Do this with any unexpected money that comes in, as it wasn’t part of your budget originally. This may be a birthday check from a loved one or an income tax refund. Every bit helps to bring the principal down, allowing the loan to be paid off in less time and with less interest. Don’t pay more than you must when it comes to your mortgage. Choose one or more of these tips to begin using today and watch your mortgage go down quickly. If you can combine a number of these tips, you can pay the mortgage off much sooner than you originally imagined. Small steps add up to major savings, so begin the process today. Doing so will allow you to be free of a mortgage quickly.